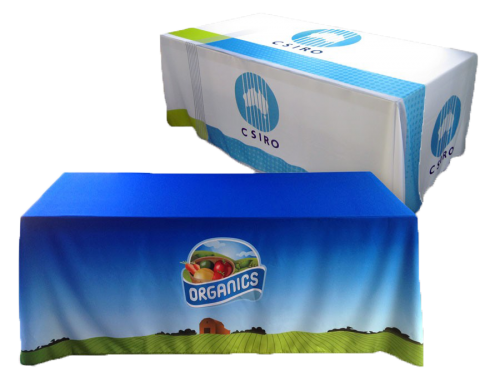 Create a stunning custom loose printed throw tablecloths. 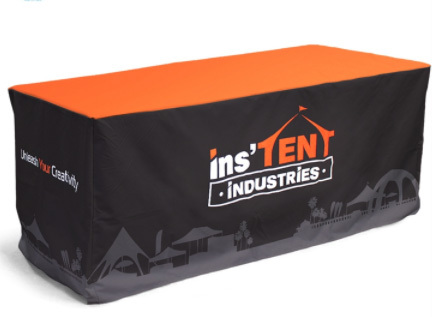 Made from the best 230g matt Polyester or 250g shiny Polyester UV resistant material. 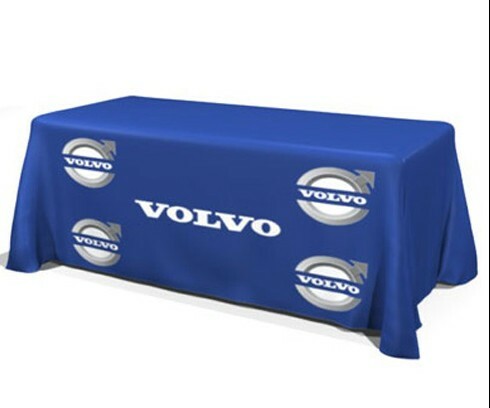 These custom printed tablecloths come in 3 sizes. Available in 3 sizes 4ft, 6ft and 8ft. The professional look will pop your brand out at any event. 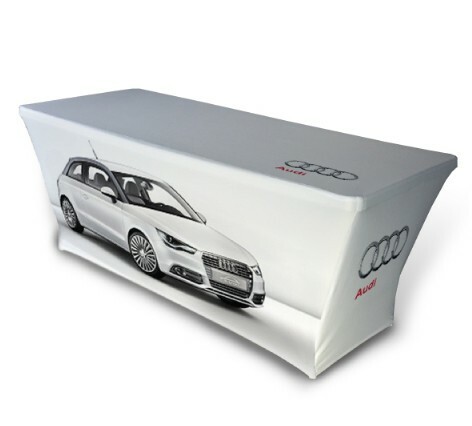 Hide give away merchandise, boxes or brochures under the table and give your trade area a clean and professional look.The intended environments for these custom tablecloths include exhibition shows, conventions, conferences, trade shows, sporting events and office. If you have your logo ready in vector format our art department can quickly send you a proof for review and approval before production begins. 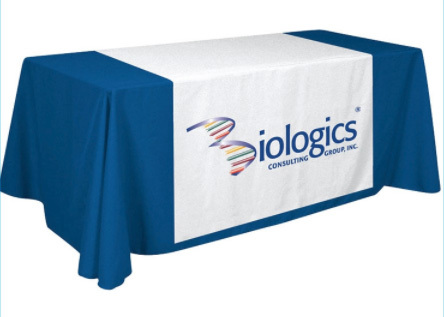 Once approved, we normally need 7-10 days to produce your custom table cloth plus transit. 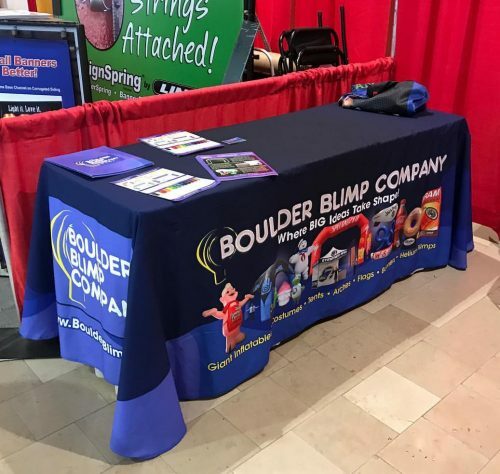 Ask about our EXPRESS SERVICE for orders which require urgent delivery by a specific deadline for an upcoming special event or show. We will do our best to accommodate your schedule. 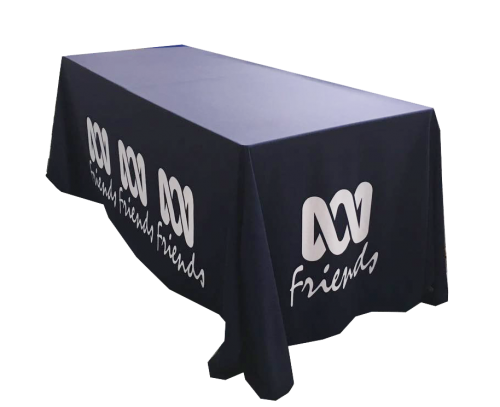 4ft Printed tablecloths are designed to fit on a 1220 x 610 x 737mm standard size table. 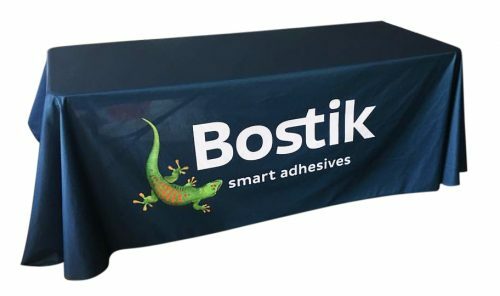 8ft Printed tablecloths are designed to fit on a 2440 x 762 x 737mm standard sized table.